Chabad on Long Island is showing rapid growth, with the number of centers more than doubling during a time when many American synagogues are merging, losing members or closing. 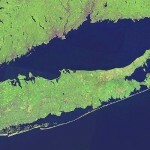 With just 17 Chabad Rabbis serving Long island’s Jews in 2000, that number is about to jump to 50! 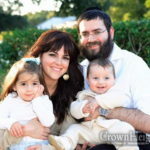 Rabbi Shalom Lipszyc, who grew up in Long Island, will become the 50th Chabad Rabbi, together with his wife Rochel Leah and their two children Zalmen and Meir Chaim. 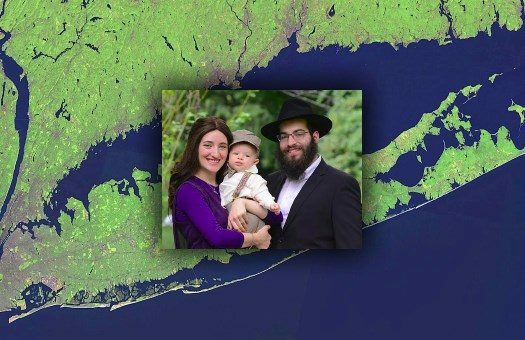 The Lipszycs, who were appointed by the region’s Head Shliach Rabbi Tuvia Teldon and the Director of Town of Oyster Bay Chabad Rabbi Shmuel Lipszyc, will be servicing the over 27,500 Jews in Long Island’s Northeast Nassau region. 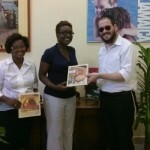 The young couple’s initial goals are to helm the Rohr Jewish Learning Institute affiliate in Northeast Nassau, and to connect with young families in the community and assist with their Jewish needs. The Lipszycs are aiming to raise $45,000 by Gimmel Tammuz (June 27) to support their move and to help fund their planned activities. You can show them your support by donating to their Funding Campaign, or by visiting newshluchim.com. Shalom & Rochel Leah. Keep on doing the great work, You are true examples of the Rebbes Sheluchim. . L.I. is lucky to have you. Hatzlacha in all your endeavors!! Mazel tov for Meir Chaim! !